Sekhar Kammula is one of the finest directors in Tollywood. He made some wonderful films like ‘Anand’, ‘Godavari’, ‘Happy Days’ and ‘Leader’ etc. When the entire industry has started to run after commercial cinema, directors like Sekhar Kammula are carrying the legacy of great filmmakers like Vishwanath, Bapu & others by giving pure Telugu films to our audience. 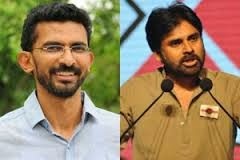 Speaking about his future projects, Sekhar Kammula said that he wants to come back with an entertaining script. This ‘Dollar Dreams’ filmmaker said that he approached Powerstar with ‘Leader’ script, but Pawan Kalyan has declined it politely. It went on to become the debut film for Rana Daggubati. Currently, Sekhar is working for the Bollywood remake of ‘Happy Days’ and Salman Khan will be producing the film. Apart from that, he has narrated a script to Allu Arjun and the discussions are under progress.